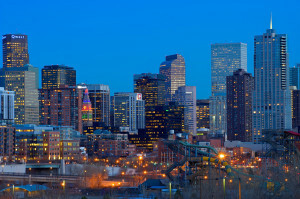 Our Denver office provides service of your subpoenas, notices, summons, and other legal documents. We work with large corporations and organizations, corporate legal departments, big law firms, solo and small law firms, and private individuals to provide quality process service and other legal services. Colorado Attorney Services is an Insured and Bonded process server company and a Veteran Owned Business. Additionally, we are members of the Process Servers Association of Colorado (PSACO), the National Association of Professional Process Servers (NAPPS), and ServeNow. Call us today for a certified process server on Colorado’s front range. Process serving is one of the many services we provide when it comes to helping you with the legal responsibilities that come with the legal process of subpoenas, divorce, small claims and the like. When going to court there are many legal procedures that have to be abided by, one of the many is letting the defendant know what is going on by serving them the proper legal paper work. This can be complicated with the law on who is able to legally serve the papers. That’s why we offer you the services to serve those types of legal documents for you. This is especially helpful when the defendant has a violent past.